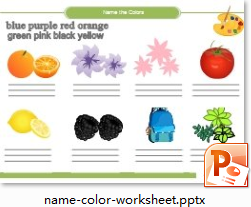 Free, nice and unique worksheets in PowerPoint format. 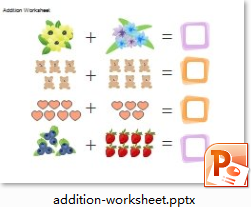 Use colorful worksheets in your classes to attract students' attention, keep them engaged and boost their creativity. 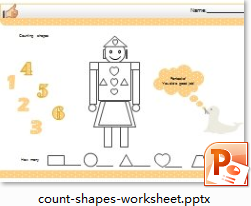 Here are some PowerPoint worksheet examples that can make your classes more interesting. In MS PowerPoint program, it's hard and time-consuming to gain such results. 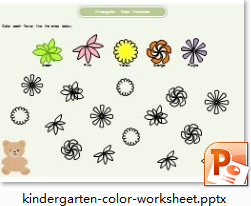 However, Edraw only requires a few minutes to finish a nice and vivid worksheet with lifelike images. 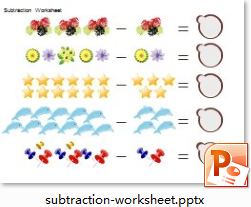 Click each icon to download the PowerPoint worksheet if you like it. 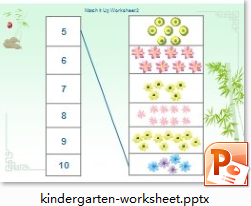 More worksheet can be found in page Kindergarten Worksheets. 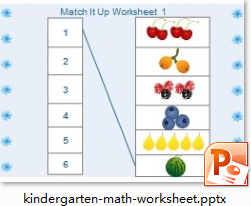 Click here to learn How to Make Worksheet in the Easiest way. 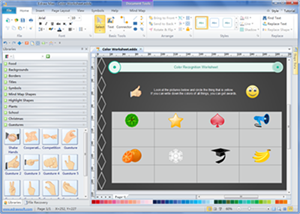 Edraw is a diagramming tool that excels in creating visual materials for education. It includes over 10,000 vector shapes and hundreds of diagrams that present data in a pictorial way. These shapes support drag-and-drop function and can be edited easily. 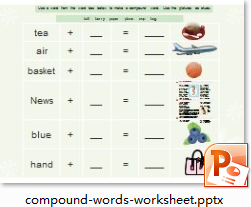 It's just a perfect tool for teachers, parents as well as children to make teaching and learning more interesting. 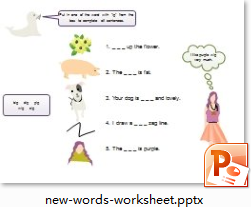 See more details in page Worksheet Maker. Click this link for more educational resources. 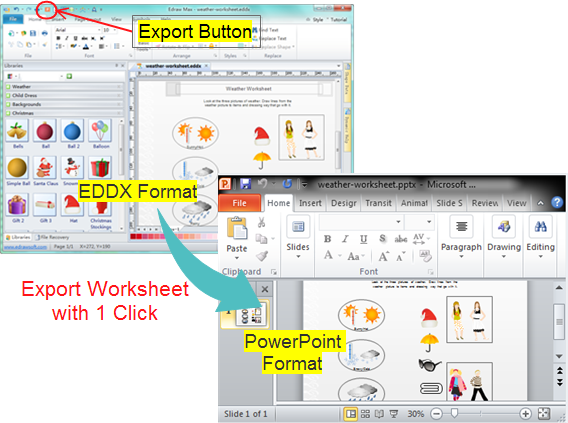 After you finish your worksheet in Edraw, 1 click turns the worksheet into a fully editable PowerPoint file. Just click the Export button on the Quick Access Toolbar. 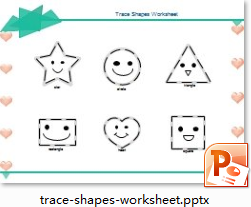 Discover why Edraw is an excellent program to create worksheet. Try Edraw FREE.